i am from new york, but i am still nyc obsessed. i feel like a tourist everyday - constantly discovering new places i love, new views, new streets. i just love everything new york. 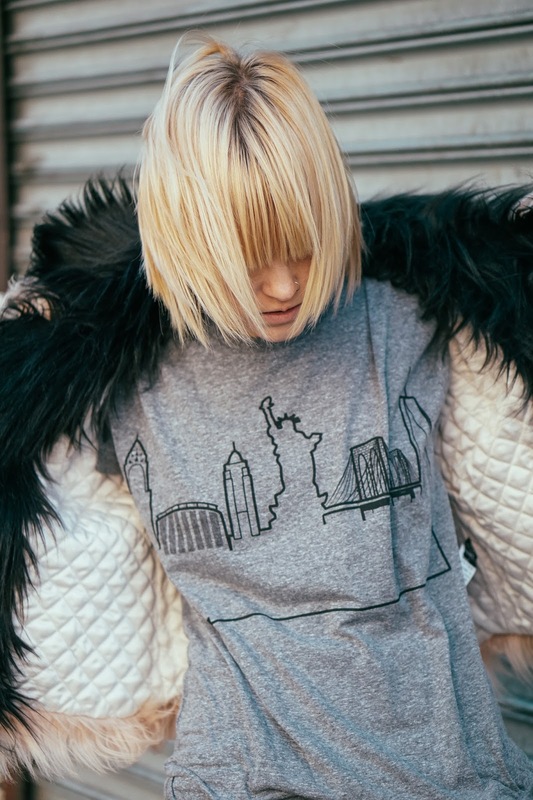 this amazing new york skyline tee from Outline The Sky is so perfect! they let you rep your city with awesome skyline tees, not just from NYC but everywhere! 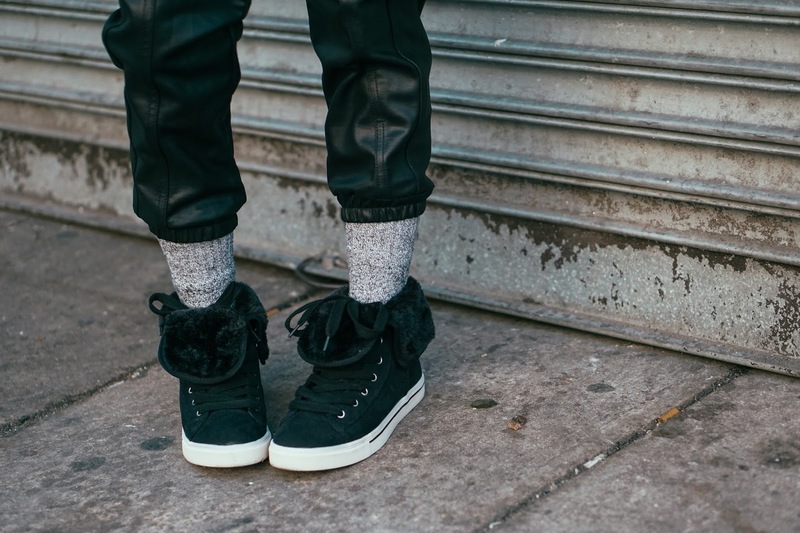 i paired it with a chic faux fur from CHASER and some cozy sneakers by FARYL ROBIN for Target. its the perfect little winter uniform.